The moment a donor makes a first gift is cause for celebration. Whether it was your amazing donor acquisition campaign, your organization’s inspirational work in the community, or your powerful website, you’ve compelled someone to take action and make a gift! But now the more important work begins: inspiring your new donor to give again. From your pool of fresh new supporters, you’ll begin to weed out those one-gift-only donors and identify those with potential to become long-term and even lifelong partners in your mission. A second gift is an important indication of a deeper interest in your organization’s work. It signals that a donor’s giving is more than an afterthought or obligation. These are the donors that are worthy of your focus and limited resources. But second gifts don’t happen automatically – they must be thoughtfully cultivated. Here’s how to build a communications system that will inspire new donors to take that next step towards becoming a life-long supporter. Your goal is to develop a series of well-honed activities and communications delivered in response to every first-gift that comes in to your organization. These actions are designed to inspire your new donor to move to the next level in your donor funnel – becoming a repeat donor. By testing, measuring, and tracking responses to different versions of your communications pieces, you’ll fine-tune it into an effective new donor conversion system. You’ll use a variety of communications channels (email, print, phone, etc…) in your plan to bring your donors “onboard” and orient them to your organization. Each of these communications should be crafted exclusively for new donors using language that is relevant. Specifically, your plan should include a printed thank you letter gushing with gratitude, a 3-part welcome email series, and a printed “evergreen” (not dated or time specific) orientation piece. The orientation publication should educate your new donors on the details of your work and relay mission-related stories to illustrate the outcomes of their gifts. make your new donor feel acknowledged, appreciated, and welcomed. confirm that their gift contributed to a specific outcome. provide a deeper understanding of your mission, your organization’s solution to that problem, and why their support is critical to this work. stand out from other organizations by avoiding run-of-the-mill, uninspired, “generic” new donor communications. Accomplishing these goals means taking time to write meaningful, relevant and thoughtful pieces. Treat the first gift as the beginning of an important relationship rather than a transaction that warrants a “receipt” in response. 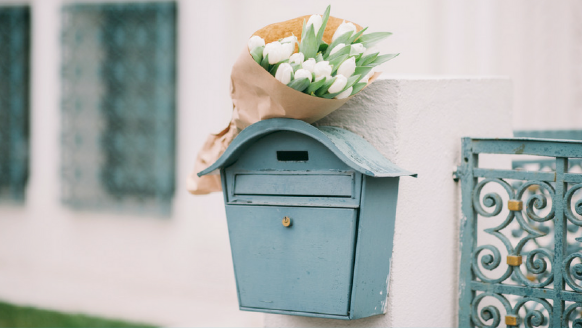 The thank you letter your new donors receive in response to their first gift – whether by email, mail, or both – is your first chance to make a great impression. It sets the tone for what it’s like to be a part of your organization. Through this letter, you’ll communicate how thrilled you are to have them join your group and illustrate through stories how important their support is to your mission. While you can include the required tax receipt information, make the overall tone of the note informal, welcoming, and oozing with gratitude. Ultimately, your donors gave because they want to feel good about themselves for taking this action. As fundraisers, our job is to provide an experience that echoes this desire and confirms they were right to choose your organization. Think about how the donor felt when he or she mailed a check (or hit “submit”) and then consider what you, as a donor, would want to hear in response. What would make them feel great about themselves for contributing? Remember, the donor is the hero in this letter, not your organization. Each time you prepare a letter in response to a new donation, take a look a how each and that donor came to your organization. Did they attend a fundraising event? Are they a family member of someone who has benefited from your services? Are they an alumni of your school? Whenever possible, mention the donor’s motivation or connection specifically in your letter or email. I recently attended a fundraising event as a guest of the hosting organization’s major corporate sponsor. During the event, I made a personal gift – my first to this group. In response, I received two separate automated transaction receipts by email. One week after the event, I received a boring, tax-receipt-oriented response by mail – a letter that sounded exactly the same as those I’ve received a zillion times from other organizations. With a tiny bit of thoughtfulness and effort on their part, this organization could have made a personal connection and guaranteed a second gift. Just that small personalization would have confirmed they actually knew and cared that I spent my time and money to learn about their work. It would have cemented my relationship with the organization –and moved it beyond my need to be polite to my friend who invited me to the event. True, this level of personalization takes a bit more effort, but that extra effort is exactly what distinguishes you from other organizations and makes your donors feel connected. It’s the key to bringing your donors back for more. « Why you should abandon LYBUNTS and SYBUNTS.